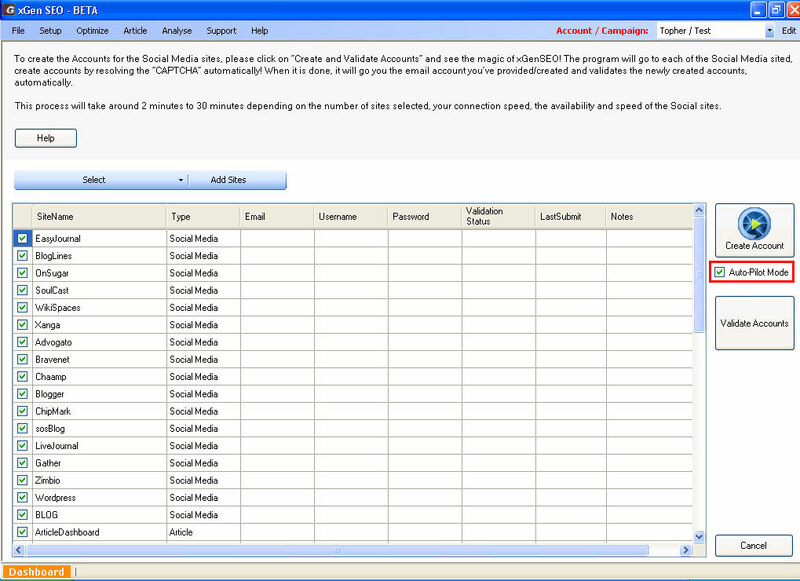 Do you want to create 100+ accounts on the top social sites at the click of a few buttons? Now you can do that with XGen SEO software featuring the best Google SEO tool on the market. Simply select the social media sites you would like from 100+ options available and then click one button to create all the accounts. Yes, it's as easy as that! XGen SEO software will go to each of the social media sites and create accounts on all these sites, even resolving all the CAPTCHA automatically! Once these accounts are created, it will go to your email account, open all those 100s of emails and automatically verify each of the social media accounts from the links in the verification emails. So what are you waiting for?